As you fill out a Burns and McDonnell application, know that you’re striving to join a company that cares about their employees and wants them to succeed in the workplace. By maintaining a happy workforce, the company produces great work for their clients. Links to apply for jobs at Burns and McDonnell are at the bottom of the page. In 1898, Clinton Burns and Robert McDonnell started the company in Kansas City, Missouri. Specializing providing reliable power, clean water, and effective sewer systems, the company worked with growing cities in the Midwest in order to make sure that they operated efficiently. In 1942, Burns and McDonnell began their first aviation project, working on the Smoky Hill Army Airfield, where the B-29 bomber was created and built. Armco Steel bought the company in 1971. However, Burns and McDonnell acquired C.W. Nofsinger Co. in 1983, leading to the eventual creation of the Process and Industrial division. In 2010, Harrington & Cortelyou was added to the Burns and McDonnell transportation area, as they specialized bridge building. Those with Burns and McDonnel jobs know that the company strives to be a great place to work, having been listed on Fortune Magazine’s 100 Best Companies to Work For for four years in a row. They’ve expanded and grown rapidly after growing to five thousand employees in 2014 alone and reorganizing their structure to accommodate the rapid growth. Burns and McDonnell has several career paths and opens them up to everybody that’s qualified. If an experienced person is looking for a job, the company won’t make recent graduates compete with them, and offers a separate area for interns and graduates to look for work, making the playing field more equal and competitive within their respective groups. 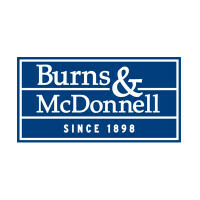 How old do you have to be to work at Burns and McDonnell? Age requirements vary by job, however as you search Burns and McDonnell jobs online, make sure to read all requirements closely, as several positions will require you to have various experiences, degrees, or certifications. Those with Burns and McDonnell careers get several benefits. The company places a high value on health and wellness, and their benefits reflect that, offering vision, dental, and health insurance as well as disability. To help employees stay healthy, the company has a fitness center in their headquarters as well as offering discounts gyms and fitness centers across the country. This company also offers benefits for professional development, including tuition reimbursement if the employee stays with the company while getting an advanced technical degree. Also, as Burns and McDonnell wants all their employees to be state registered, they offer paid time off for the exams as well as reimbursement for all fees associated with the test. Assistant Civil Detailer – From rough drawing, detailed engineering notes, or verbal guidance, you will create drawings with complex features that match what the customer or your boss is looking for. Your drawing are discipline-specific at the start of many projects. Compensation is around $37,000 a year. Civil Engineer – Planning, scheduling, conducting and coordinating various projects while managing the modifications and adaptions of usual engineering techniques in order to make sure that everything works within the buildings that you’re building. Compensation is around $70,000 a year. Commissioning Project Manager – You will work with the National Commissioning Project to oversee commissioning, retro-commissioning, and energy-related services to aid complex buildings in making sure that everything is working properly to reduce environmental impact. Compensation is around $90,000 a year. Why do you want to work for Burns and McDonnell? As this is an extremely common interview question, you should be prepared for it. Talk about what drew you to the company, whether it was the company culture or benefits and why it’s your first choice in places to work. What experience do you have? If you have any relevant experience, make sure to highlight it. If you’ve done several jobs in the engineering field, make sure to talk about it and how you’ll apply what you’ve learned to the job you’re applying for. Have plenty of examples to back up your claims. As this company relies heavily on jobs from clients, you may be asked this question in the form of a hypothetical situation: How would you deal with a difficult client? Make sure to be practical and realistic in how you would take care of them to make sure that they got the best care possible. If you’re a new graduate or applying for an internship, you may be asked this question: What do you expect to learn from your time at Burns and McDonnell? Be realistic and try to carefully explain what you’re interested in, as they’ll want to try to match you with the department that fits you best. How to apply for Burns and McDonnell online: search for the job that you’re interested in and read the job requirements carefully. Then, start filling out your Burns and McDonnell application, which will turn into a profile before starting to apply for even more jobs with the company. A printable application for Burn and McDonnell is not available. Before attending your interview, do research on Burns and McDonnell and the industry in order to have a list of prepared questions that you can bring to your interview. This may seem excessive, especially for an entry level position, but it will show that you’re prepared and willing to work hard for the company. Your interview will be formal, so dress appropriately in business casual at the very least. If you’ve applied for a managerial or supervisory position, a suit would be more appropriate. Make sure to have a positive and friendly demeanor as it will show that you’re willing to work with the existing Burns and McDonnell team. Make sure to show gratitude at the opportunity to interview with Burns and McDonnell and inquire about the best way to check on your hiring status afterwards. No applicants will learn if they got the job during their interview as Burns and McDonnell will want to screen all applicants before making a final decision. Panther Expedited Services: For employment at Panther Expedited Services visit the application page. SCANA Corporation: See this page for jobs at SCANA Corporation. Alabama Power: See this page for jobs at Alabama Power. Schlumberger: Checkout the application page for work at Schlumberger. Old Dominion: Visit the job application for Old Dominion to apply today.